Thank you for this interesting article. I realize your focus is Fascism or Not, but I would have liked it more if you had used the word “Reactionary”. Describing some of the current crop of presidential candidates as conservative is an insult to true conservatives who are not reactionary. Yet they themselves seem to identify as conservative. What exactly do you mean by “true conservatives”? Perhaps he means “true scotsmen”, but then conservative? That’s what it looks like, but “no true Scotsman” is one of those arguments that is usually a fallacy but not always, so I figured I would ask. But yeah, you’re probably right. And now that I think about it, I also want to ask Larry Stauber: What exactly do you mean by “reactionary”? Agree with your conclusion on the long-term remedy but that doesn’t remove the near-term concern of giving the Democrats that opportunity. For all the interesting analyses of Fascism, it doesn’t remove the fact that its current leader is potentially as dangerous a narcissist as Hitler. Clear up this statement please. Who is “its” leader? Thank you for an empirically-based interpretive analysis of such an important political dynamic in the USA. In my learning about slavery (see e.g., “Our Man in Charleston: Britain’s Secret Agent in the Civil War South”), I’m intrigued by the underlying current of fear at the time such as a massive slave revolt. The sense of threat, of “these others” stealing/taking/claiming what is ‘yours’, appears to be ever-present. The threat of “those others,” even while forfeiting or losing what is yours (as you mention with Kynect), speaks to a tendency towards tribalism that is so fundamental that it trumps self-interest and logic. “In the long run, I can only see one way out of this trend: Democrats need to offer a program that will genuinely do something for the working class, in the same way that the New Deal headed off American fascism in the 1930s”. But what is that? We’re losing jobs to technological displacement and offshoring, not just to a temporary recession. Massive infrastructure spending and universal basic income might be a good start. America needs infrastructure repair, and basic income helps people survive in a world where their work is no longer necessary. Some kind of anti-Wall-Street action would be a crowd-pleaser. Hard to do something like that in a genuinely constructive way though. Agree with the infrastructure, but not sure this country has the resources to support a universal income, or whether that would be a good idea. I don’t think we need an anti-Wall Street action, so much as an anti-future-financial-crash action. I.e. basic safeguards to prevent poor investment decisions from destabilizing the economy. “What is that?” Is what the left needs to figure out. That’s where we need to be looking, even if we don’t know the answer yet. Thank you for this essay and discussion! In addition to renovating our infrastructure, we need to invest massive effort in repurposing the economy to function successfully on non-fossil sources. These are the jobs that will provide wages for the working class and start to rebuild the middle class. If you don’t like what’s going on in our society and elsewhere in the world when the permanent-war is just over access to oil, imagine what society will become when we’re fighting over access to clean air, potable water, and food. ““What is that?” Is what the left needs to figure out. That’s where we need to be looking, even if we don’t know the answer yet.” Exactly! The desire to humiliate to relive humiliation is by no means restricted to conservatives. I’m currently reading “Year Zero, a History of 1945” by Ian Buruma that has a chapter entitled “Revenge”. After the official end of the war, both left wing and right wing groups engaged in humiliating their “inferiors”. I agree that it is a common trait in fascism, but it is a universally human trait. I agree that it’s a human trait. A lot of what’s in fascism are common human traits, emphasized and organized in a particular way. I dunno if it would help this strong essay, but, I missed discussion of the relationship between government and the corporation in the effort to pin down the fascist (corporatist?) ideal. The Tea Party astroturf would never have been so green without assistance and support of these monkey-wrenching efforts by the captains of industry. One of my professors in college said that defining fascism was like nailing jello to a wall – it’s messy and good luck making it stick. An excellent article that elaborates on that concept (for lack of a better word) and its connection to American politics. I’d give you a standing ovation if you could see me! -Donald Trump told NBC News there should be a database of all Muslims. -Senator Ted Cruz agrees with Donald Trump. He would winnow the field of acceptable refugees down to only Christian Syrians, similar to what Jeb Bush proposes. The question is what are thinking Americans to do? They have frightened me to the point that I am contemplating a move out of the USA if any of these mad men become president. The second question is can Hillary Clinton win the White House? Historically the control of the White House has changed every four to eight years. I am not concerned with the people reading this blog. 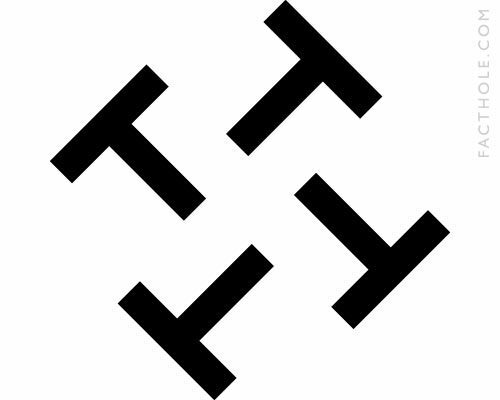 The hysterical like love of Donald Trump that seems to be growing, and does remind me of Hitler, that says the United States as we have known it may be coming to an end. I’m a bit more hopeful. The Republican candidates are competing for the voters most likely to show up for a Republican primary election. That skews the discussion, and skews our perception of which arguments are succeeding. In 2012, Mitt Romney sailed a careful course, tacking just far enough right to win the nomination, then trying to swerve back to the center for the general election. It didn’t quite work. Whoever comes out of the 2016 Republican process is going to have taken a lot of positions far to the right of where Romney was. I think they’ll have a hard time appealing to the full electorate. But we’ll see. Best analysis I have seen on the popularity of Trump and his ilk. Scary, though! When you start producing lists like this it becomes increasingly more difficult to believe in our President. taxpayer funds to re-build foreign mosques. world denigrating the United States Of America. breakfast at the White House. It was you who ordered Georgetown Univ. fanatics to your Czar Corps. tribunals of all Islamic terrorists. Ft. Hood killer as an Islamic terrorist. Because I don’t recognize most of the stuff in that rant, and the parts I do recognize I recognize as BS. Makes it hard to trust the rest, especially with absolutely no supporting evidence. http://www.vox.com/policy-and-politics/2015/12/10/9886152/donald-trump-fascism differs somewhat on your take. Both were good reads.